Time to take of the training wheels. I'm an old school PC gamer at heart. I remember some of the best years of PC gaming, especially around the time I went to college. We had titles like Half-Life, Diablo and Rainbow Six hitting their peak then and some of my best memories are playing those games in co-op or multiplayer. While the Rainbow Six franchise has mostly lived on, it's undergone several changes along the way - what we have now is a bit softer. 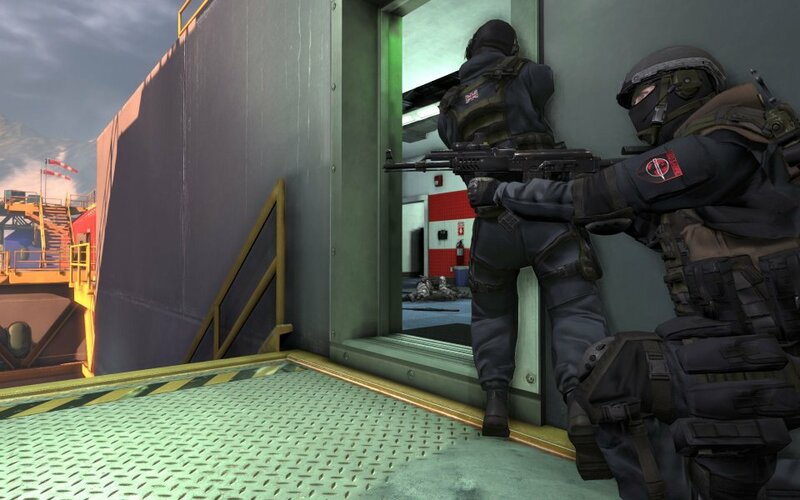 Enter Takedown: Red Sabre - a big boy (or girl) tactical shooter. We went hands on with the game at E3 2013 and talked with Chris Allen, the game's Creative Director. As I sat down to play Takedown with a handful of other devs in co-op, I immediately noticed how much slower my character moves. As I pushed forward into what looked like a high end luxury apartment my teammates quickly called out covering vectors for me. It wasn't long before I remembered to hug the walls, peak around corners, and call out enemies. As we progressed the enemies weren't lit up wearing red vests, or they didn't come charging out at us like some terrorist with a death wish. Instead they remained in cover, volleyed bullets at us, and didn't yell out their own positions as they tried to maneuver. Taking down an enemy requires only one well placed bullet, but knowing the enemy is down requires visual confirmation. Perhaps you only wounded him? There's no floating score indicator here. Takedown: Red Sabre is built on the Unreal Engine 3 and graphically it's decent enough. The game's six areas are broken up into 18 distinct playable maps for scenarios, co-op, and adversarial play. While there's on over arching story in Takedown, each scenario does have a specific objective and goal. These maps support six player co-op and you can also play terrorist hunt on any of the maps if you want to play random clear missions with your co-op buddies. I forgot just how brutally difficult a true tactical shooter can be. Random enemy positions in the map we played caused our team to drop rather quickly numerous times - there's no learning the level to "cheat" your way through. For purists the game has a minimal HUD so there's nothing getting in your line of sight. One unique little feature I found was as you approached a wall, depending on the length of your weapon, your character would need to pull that gun up to his body so he could close in for cover. This means snipers won't be able to easily run around without having their weapon pulled away from aiming. Allen told us that the weapons themselves are modeled to behave like their real life counterparts - they didn't try to balance the weapons against each other. Like we've said, this is a serious shooter for serious tactical enthusiasts. 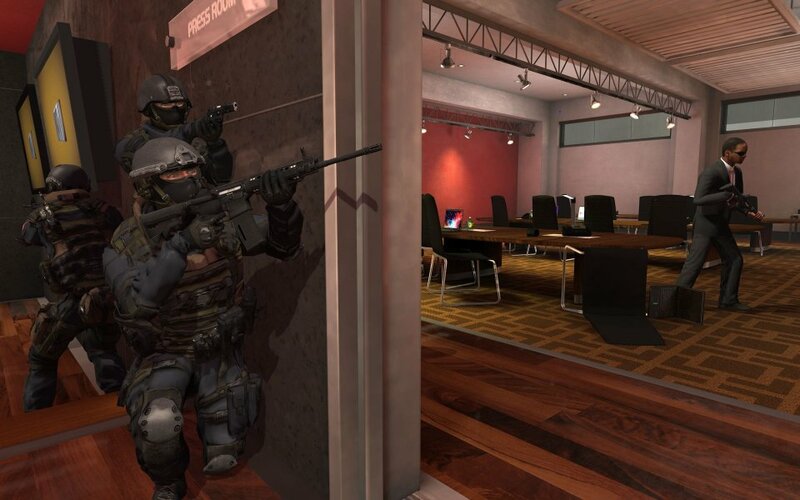 Takedown: Red Sabre is set to be released on Steam and Xbox Live arcade later this year. In the meantime we suggest you go play some SWAT 4 as practice in the meantime.